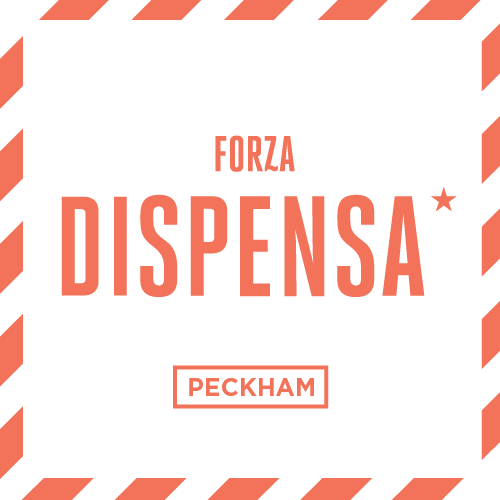 Forza Win is back for summer 2014 with an al fresco restaurant The Dispensa in Peckham. Forza Win started off in 2012 with a rooftop pizza restaurant, then diversified into Forza Win(ter), returned in 2013, and now are heading South for 2014. £25 gets you three courses of Italian food, with meat from Ginger Pig, and other well sources ingredients. Plus a vending machine for beer, and a cocktail bar. It's Thursday - Saturday from 3rd July until Mid September. "For the past three years Forza Win could be found in many different places all over London. Now they’ve found an ‘al fresco’ spot in which they can cook and serve awesome communal suppers to their hearts content, year round. It won’t stop them going exploring, but for summer 2014, they’re firmly grounded. The team will be working with all British produce to create an awesome and authentic Italian meal. For 8 weeks of Summer 2014, we'll be welcoming guests to our new home for the ultimate summer feast. We've found us an old meat packing warehouse and have turned it into our 'HQ'. For £25, ticket holders will bag themselves a seat at our 70 seater tables, a cool refreshing glass of our house spritz, a starter, their part in a mega massive meat fest of Spiedini's made with Ginger Pig meat and cooked over wood. After that, there'll be dessert and more of everything available to 'top up'. SEE YOU THERE! BOOM!" Massively overpriced. Portion sizes are tiny. Wait between courses is excruciating, sat down at 7:30pm, small starter of bread didn't arrive until 8:30pm. Dessert didn't arrive 10:30pm. Don't go, not even worth £10.